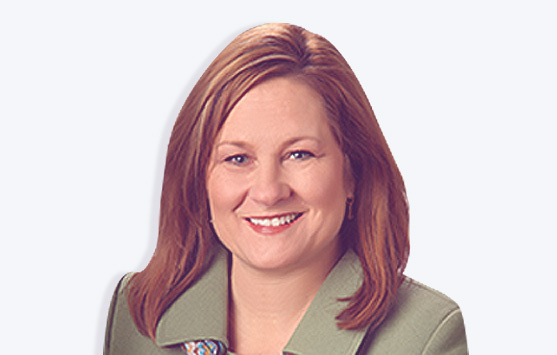 Joan Coleman has more than 20 years of telecommunications management experience from engineering, industry and external relations, public policy development, regulatory and marketing communications and strategic planning roles at AT&T and BellSouth. Joan also has extensive leadership experience in the healthcare and non-profit sectors. Joan’s blend of engineering expertise and communication skills allows her to create solutions that integrate strategy and technology issues. Her work bringing a call center and 450 jobs to Louisville, KY following the merger of BellSouth and AT&T has become a model to other states and local companies. Strategic Planning – Joan draws on her leadership experience to implement a rigorous strategic planning process. Leaders of both for-profit and non-profit organizations are actively involved in defining and agreeing to a vision; and committing resources toward it for a compelling future. Organizational Change – Joan’s own experience as State President of AT&T during the BellSouth/AT&T merger, as well as her role as CEO of University Medical Center during major transitions gives her unique insight into major change initiatives. She understands how to mobilize commitment from customers, employees, and community leaders to foster transitions from vision to reality to lasting change. GE Workout – Joan is able to gather the correct members of a team, coordinate a process to engage these groups, and help guide them to effectively reach solutions. Team Building – Joan draws on her experience of leading high performing teams to help others join together to reach common goals and to assess new ways to work together. In these efforts, she also coached executive leadership enabling them to reach their full potential as effective leaders. Joan received her bachelor’s degree in electrical engineering from the University of Kentucky, and her master’s degree in Public and Private Management from Birmingham Southern College. She has completed multiple executive training courses within AT&T and BellSouth. Joan serves on the board of an international food-industry cooperation and on several non-profit boards. Used the GE Workout process to help organizations within the City of Louisville create solutions to ongoing issues the group was tackling. As Interim CEO at University Medical Center, led the organization through transition from a joint operating agreement to a stand alone hospital. Spearheaded the creation and structuring of a new organization under the existing non-profit academic UMC. Worked with a non-profit religious organization to develop a Five Year Plan and work closely with the organization to guide its implementation over time. Worked with arts non-profit, Actors Theatre, to develop and implement a Strategic Plan. Developed a two-day active learning leadership retreat for an organization who wished to assess current activities and develop a vision for the future. Connect with Joan to learn more about how she can add value to your organization.